Tonight's moonrise was especially dramatic. 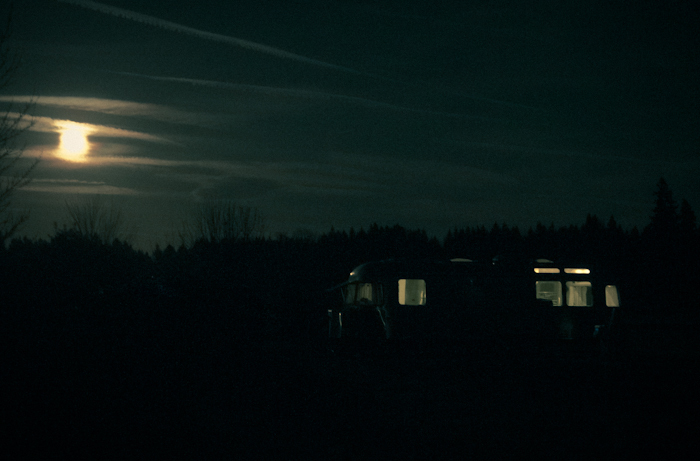 By the time we got back to the Airstream from errands and dinner out, it had risen quite a bit. I splurped out into the darkness through the boggy wet grass in my cute wedge boots with my camera while Kevin went to unlock the trailer and turn all the lights on so I could try to get a shot. I only so-so succeeded, but you get the idea. It works. It's moody. 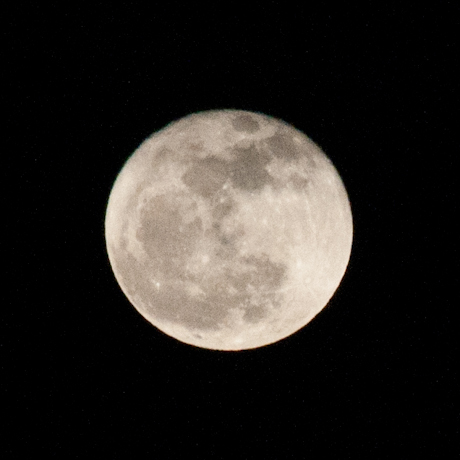 This was the full shot I got of the moon. Not too bad. What IS too bad is that we aren't further north with more of a chance to see the "more south than usual" potential of northern lights. Dang.